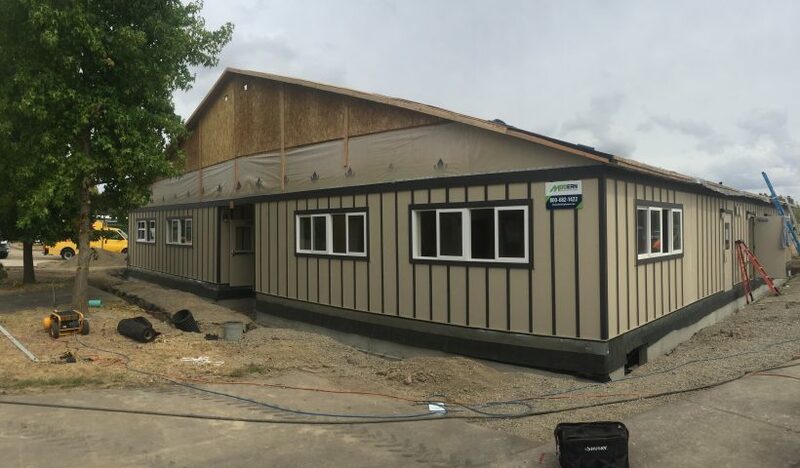 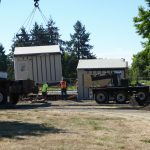 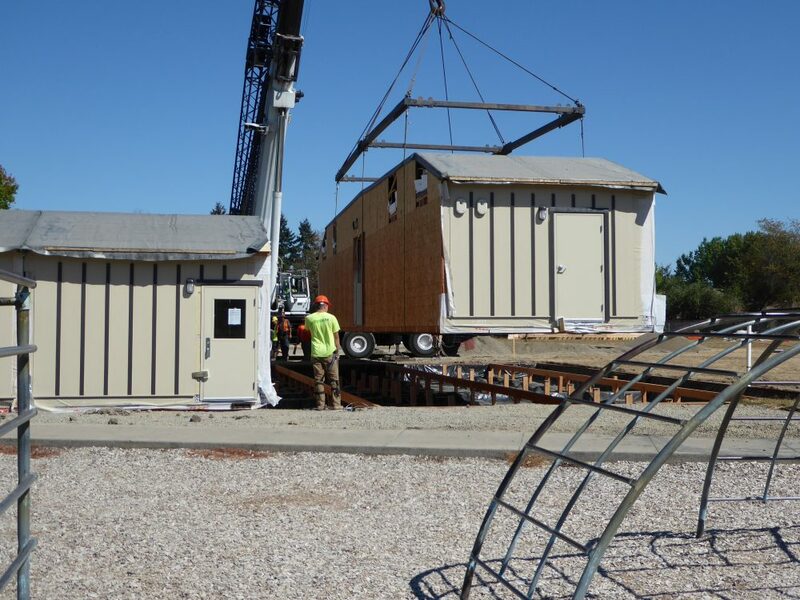 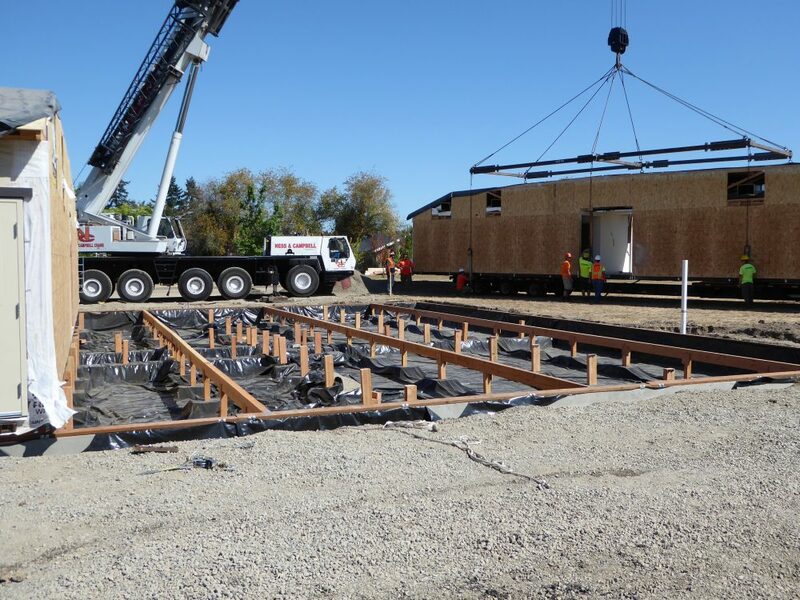 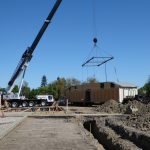 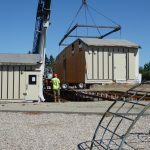 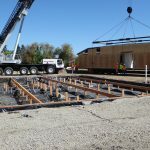 This week, workers placed a five-section, four-classroom modular building at Periwinkle Elementary School. 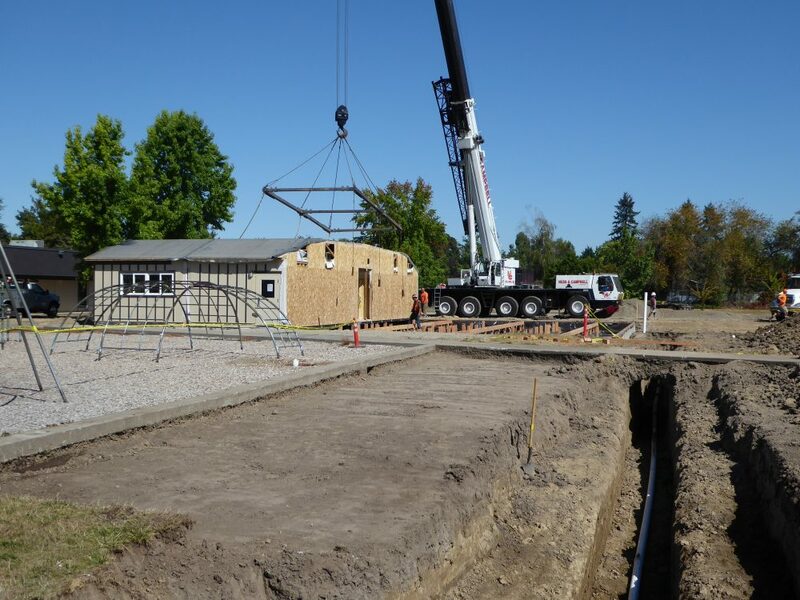 The new classrooms will make room for student enrollment growth that has exceeded classroom capacity at the school. 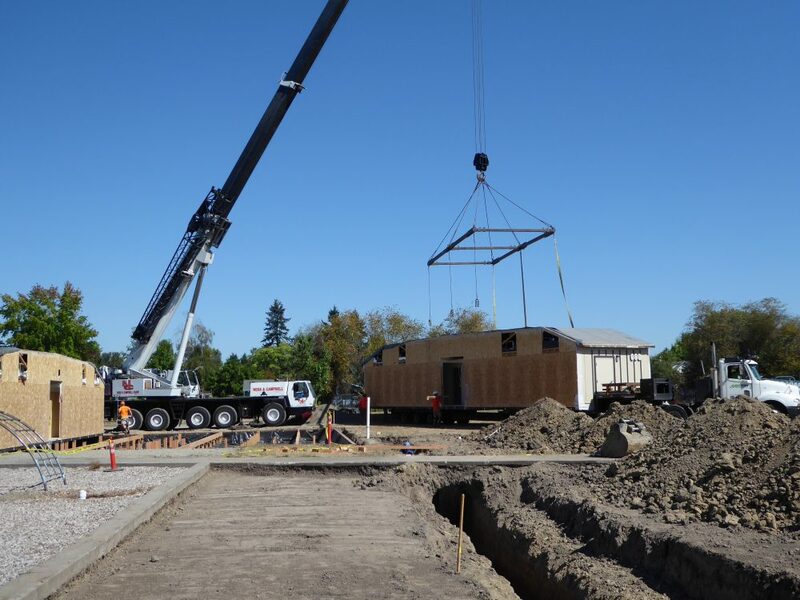 The classrooms, which will house fifth-grade students, will be ready after school starts. 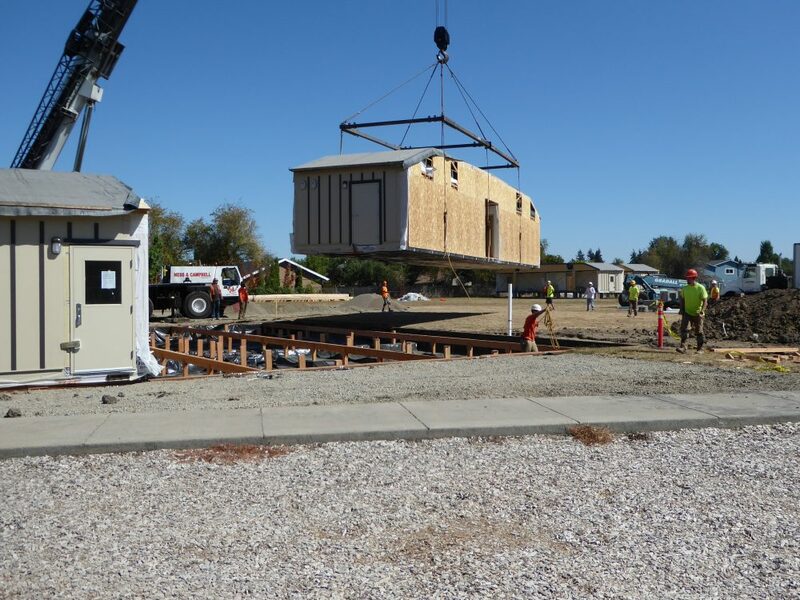 Two classes are scheduled to occupy the space. 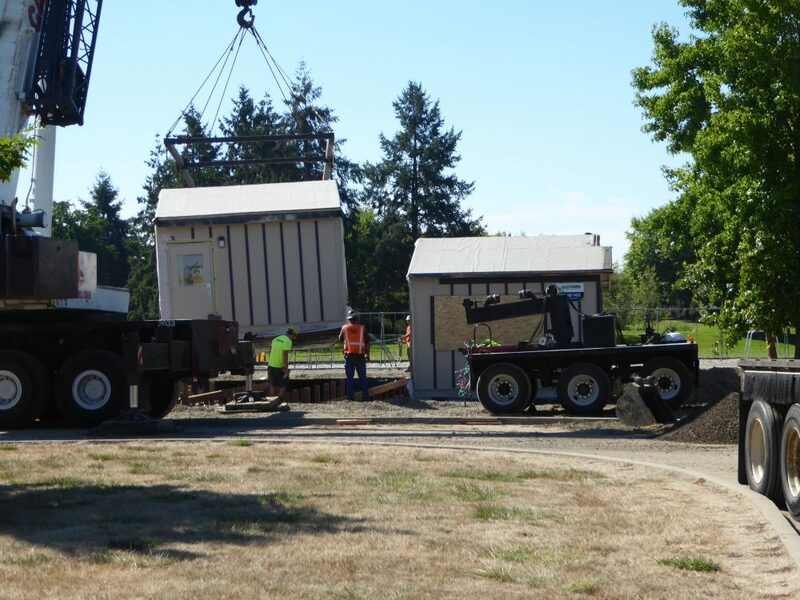 They will meet in the school library until the new classrooms are ready. 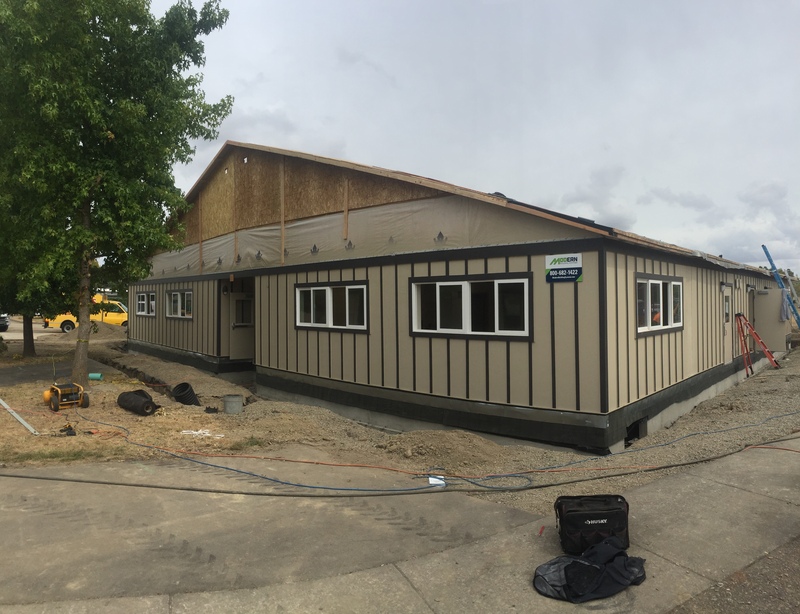 The projected completion date is the second week of school. 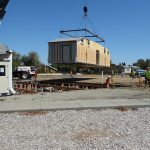 The remaining work includes connecting internet, electricity, water and sewer and finishing the roof, heating and ventilation systems.